Thanks for such a wonderful blog. The blog is full of information on Blueprism. The best part of the blog is that the information shared is from basics and everyone is capable of understandig with the help of this blog on Blueprism. Keep sharing your valuable information and helps others who is searching for knowledge on Blueprism . 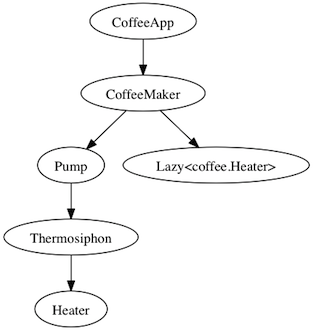 Thanks for taking time to share these java concepts. It is really helpful. I have to thank for sharing this blog, it gives lots of information to me. Thank you for sharing this wonderful information on your blog. Thanks for sharing this coding admin, really helpful. Well written content with great information. I really liked your article. Keep posting. Regards. Really this is great information for every Java beginners. I appreciate your work. keep sharing.. Very informative post! Thanks for sharing. Regards. Useful content, I have bookmarked this page for my reference. Great post! I'll take reference from your post. Thanks for sharing. Wonderful post with great piece of information. Looking forward to learn more from you. I find the concept of using an annotation processor for validating the object graph at compile time and generating code for a faster initialization at runtime very interesting. I think you are great writing this, many people probably think the same way.Well written text, great content, hopefully many such posts.I prefer to read the quality content. I like it.This post looks very good, I like to read it.